Jonah lived sometime around 760 BC, in one of the best times for the nation of Israel. Under the leadership of Jeroboam II, the northern Kingdom had a significant recovery, you can read about this in 2nd Kings 14. 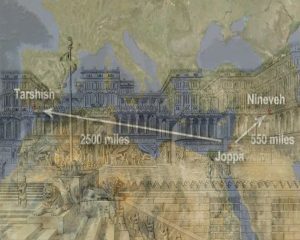 Some forty years before the Assyrians destroyed the Northern Kingdom of Israel, the prophet Jonah was sent from Israel to preach in the enemy capital of Nineveh. The Assyrian nation was a regional superpower at the time, and for decades the Assyrians were threatening and terrorizing the Israelites. Jonah probably enjoyed being a prophet to the Hebrews, but when God asked him to preach against the enemy nation, he began to run into some problems. As we read Jonah ran away from God and goes to Joppa which is near modern day Tel a Viv in Israel. Jonah pre-pays for his ticket, making certain that he can get a place on the ship heading to Tarshish. The port of Tarshish was at the southern end of Spain and at that time it was the furthest west any ship would venture. Jonah had a one-way ticket, it was a journey to the ends of the earth, such was his fear of the task that God had called him to. The Lord caused a great wind to blow on the Mediterranean Ocean, the hardened sailors are terrified and they begin to cry out to their own gods. They had probably been in storms before, but this one was different and they were convinced they would all perish, so they were looking for a way out, they were looking for salvation. It is no different today when people encounter the storms of life, they look for relief and help any way they can. People today try to fix spiritual problems with medication, counselling or drugs, but only God can heal the brokenness of the human heart. In the middle of the storm, Jonah slept. Just like we read that Jesus was asleep in the bottom of the boat in Mark 4 as the storm is raging around the disciples in the boat. But there is a difference between the sleep of Jonah and the sleep of Jesus. Jonah had given up on life, he had left all behind and had a one-way ticket to oblivion, he did not care if he lived or died. But Jesus slept in absolute security and peace, knowing that God the Father was going to protect and keep him from all harm. If you know that you are doing what God has called you to do, you can sleep in absolute peace, because He will keep you from all harm. The sailors cast lots, they roll a dice to see who caused this unprecedented storm, the lot falls on Jonah and they begin to interrogate him. We read in verse 8 that they ask him 5 short but very direct questions. Jonah’s answer is clear and to the point (see Jonah 1:9). Notice something about Jonah’s response, even though he is hiding from God and he is hoping to die, he still says; “I worship the Lord…”. Deep in his heart, Jonah knew the truth and it came out in his time of desperation. The Bible says that His answer terrified the other sailors. They knew he was running away from God, but now they saw the terrible consequences of his actions, and they began to realize that Jonah’s God was the one true God. Notice again another similarity between Jonah and the account of Jesus calming the storm in Mark 4:41. It took a raging storm for the sailors to be terrified of the one true God in Jonah 1, but it took the calming of the storm to terrify the disciples in Mark 4. When anyone encounters the undeniable presence of the all Holy God, it changes you. These sailors were being changed as they encountered God. Jonah takes responsibility for his actions and one would think he would repent and ask God for a second chance. But he is so determined not to preach to the Ninevites, that he would rather die – “Throw me into the sea” he says. The sailors on the other hand, do everything they can to save Jonah, in their compassion they try to row back to shore. Soon they realize that Jonah is the problem, but before they throw him overboard, they cry out to the Lord. Notice that the sailors cry out to the Lord, nowhere in this chapter do we read that Jonah cries out to the Lord, he would rather not talk to God because he knows the answer and he doesn’t want to hear it. The heathen sailors start praying to God and ask for forgiveness for what they are about to do, then they pick the prophet up and toss him into the sea. Immediately the sea is calm. The sailors feared the Lord and in repentance they offered sacrifices and make vows to God. These sailors were converted to worshipping the one true God. What was the real sin that Jonah committed? We always assume that the sin was rebellion, but I believe it was more than that. It wasn’t his fear of the Ninevites, that made Jonah go in the opposite direction, it was the Character of God that made him run away. Jonah knew Psalm 103:8, he wasn’t afraid the Ninevites would hurt him, he was afraid that God would remain true to His character and forgive them. The real sin of Jonah was not rebellion, but rather prejudice. Jesus taught in the Sermon on the Mount that we are to love our enemies (Matt. 5:44), reflecting the character of God. The Great Commission still applies to us today, we have been given a message and so often our prejudice towards other people stops us from being obedient to God. We all have prejudice, we shy away from people who are not like us. Those neighbors who are maybe a different skin color, or speak a different language, or maybe they don’t fit our social circle. Sometimes the Lord must bring a storm into our lives in order to reveal the prejudice in our lives. When we read the account of Jonah, who do we identify with? Most of us identify with Jonah, the disobedient messenger. But the story of Jonah is not our story, our story is that of the Ninevites. We were once alienated from God, we were enemies of God (see Romans 5). Jesus is the greater Jonah, Jesus was obedient to the Father, he came to us, those who were his enemies. 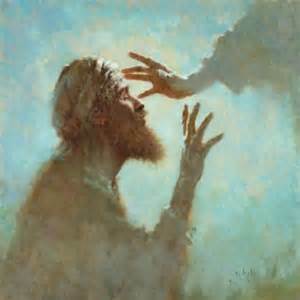 Jesus was obedient to God to the point of death. Jesus, the greater messenger, the one who paid the ultimate price, so that we can be reconciled to God. I love science fiction, especially time travel and movies about alternate dimensions. In our entertainment immersed culture, we sometimes struggle with what is real and what is not. The reality of the resurrection of Jesus Christ is something that is extremely hard for us to grasp, but yet it is absolutely real – this is not science fiction. Death is a very real part of our existence and funerals are often a time when people are confronted by their own mortality, it is a somber time of realization that we all will die someday. Jesus is alive! Throughout the pages of the Bible, we see prophecies and fulfilment of those prophecies that were written hundreds of years apart. Notice that when Jesus revealed himself to his disciples, he referred to the Law of Moses, the Prophets, and the Psalms containing information about himself (Luke 24:44). The entire Bible points to Jesus (see Isaiah 53 or Psalm 22). The message of the early church was the resurrection of Jesus Christ. And before his ascension, Jesus spoke to over five hundred people at one time (1 Corinthians 15:1-6). The resurrection was common knowledge at the time and it is also recorded in secular history. Apart from that, if Jesus had remained in the tomb, how did that band of fearful broken disciples start a church that exploded across the world and continues to expand today? If Jesus didn’t rise from the dead, we have nothing to hold on to. The Bible is an empty document and cannot be the living word of God. The bodily resurrection of Jesus is what determines our salvation, it is our hope of glory. Because Jesus rose from the dead, we know that he has conquered death. By placing our trust and faith in him we are assured of salvation and eternal life. Because of the resurrection, all the promises of God’s word are true, and we can stand on those promises. When we talk about the resurrection, we must understand that Jesus didn’t simply rise from the dead. Many people have been miraculously raised from the dead, but they ultimately died again. Here is the difference: Jesus was raised with a new body, a body that was not subject to aging, or sickness or weakness. As Paul writes in 1 Corinthians 15:20 and Colossians 1, Jesus is the firstborn from among the dead, the first of a new kind of body. The resurrected body of Jesus was a physical body, Jesus ate with his disciples, walked and talked with them; he was flesh and blood but different. His new body was a perfect eternal body, one that he still has today, and the same body he will have when he returns as the King of Kings and Lord of Lords, as we read in Revelation 19. The cross is where Jesus willingly offered himself as a sacrifice for our sins, Jesus being perfectly sinless died in our place. But when Jesus rose from the dead, it was a declaration by God, that the price had been paid and that we now can be made right with God. By raising Jesus from the dead, God was in effect saying that he approved of the work Christ had done and that there was no more penalty needed for sin. Does that mean we never sin? No, we are still subject to temptation and sin, we are all well aware of the fact that no Christian is perfect. But it does mean that when we do sin, we can come to Jesus and ask for forgiveness of our sins (1 John 1:9). The cross is where the price was paid for our sins; the resurrection is where we obtain power to live the Christian life. What does the resurrection of Jesus mean for us? The resurrection meant Satan and death itself was defeated. 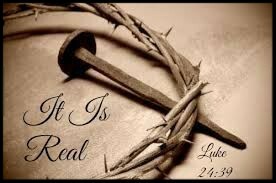 Since Jesus rose from the dead, we do not have to fear death. Through the resurrection, we are made right with God because of the blood of Jesus shed for us. With the resurrection, we can live victorious Christian lives because Jesus ascended into heaven and sent the Holy Spirit, the third person of the trinity to live inside all who believe in him, to give us power to live a life that brings glory to God (see Acts 1:8). This is not science fiction my friends, this is reality. Jesus is coming back again; his word promises it. Maybe some of us or all of us will die before he comes again, but that does not mean we need to fear death. Because of resurrection Sunday, we no longer fear the uncertainty of death. Those who have made the decision to live for Jesus in this life will live with him for eternity. The younger generations of today, the young children, the students, the young families, the fathers and mothers of children still at home. This is a generation of people who want to make a difference and they are the future of our churches. During the last presidential elections, an estimated 23.7 million young voters, between the ages of 18 and 29, participated in the 2016 presidential election, this is almost 50% of that demographic. This generation has seen a dramatic rise in volunteerism and short term mission trips have taken the place of church camping trips. This is also a media saturated generation, researchers have determined that the average person born after 1970, will see 200,000 violent acts and 16,000 murders on TV by age 18. However, at the same time we see a tremendous rise in hunger for truth, hunger for the word of God, prayer and authentic Christianity. What has declined is a passion for denominations, and traditions. False teachers, those proclaiming truth, but are twisting the truth for their own agenda is not something that is new to our age; false teachers have been around the church since the first century. The Apostle Paul wrote his letters to encourage young Timothy to stand firm against false teachers and to be bold in speaking the truth. In the first letter to Timothy, Paul addresses a young man probably in his mid-30’s who he had asked to stay in Ephesus to correct false teaching, to train up new leaders and to lead the church. Who were these false teachers? As we read in 1 Timothy 4:2, these people had their consciences seared as with a hot iron. Paul uses imagery is of a branding iron that is used to cauterize an open wound, cutting of the flow of blood, and desensitizing the area of injury. In the same way as we are constantly exposed to evil in various forms around us, we become desensitized to it. We allow images and language into our houses that go directly against the word of God, and yet we wonder why we do not experience the power of God in our lives. We must pray daily for a heightened sensitivity and discernment. It is a spiritual gift from the Holy Spirit, and in this day and age of confusion and deception, we need discernment more than ever before. In verse 6, Paul tells Timothy to be nourished on the truths of the faith. The truth of the word of God is our nourishment, as Jesus said in John 4:14. What water are you drinking? Jumping down to verse 12, Paul encourages Timothy to not to be intimidated by those around him who are older, but rather he must set an example, allowing his lifestyle to speak for him. in the same way, as followers of Jesus Christ we must allow our speech, our conduct, our love, our faith and purity to demonstrate to others what it means to be a Christian. In Speech – What do people hear from you? What do you speak about and what tone of voice do you use? Remembering that there is power in words. In Conduct – This your lifestyle, the things you do, the places you go, the possessions you accumulate – every aspect of life. Set an example in your conduct. In Love – This is self-sacrificial service on behalf of others. As a young leader never ask people to do something unless you’re demonstrating it in your life first. Leaders must be in the trenches with the people you are leading. In Faith – that means faithfulness, or consistency; being there for the long haul. The Christian life is not a sprint. Be consistent and trustworthy, unwavering and uncompromising from start to finish. And then he adds Purity – This is moral, sexual purity. Again, in our media saturated society, this is a daily challenge, but as followers of Jesus Christ we are called to lives of purity. How can a young man stay pure? See Psalm 119:9, if you want to be an example of purity, you have to read and meditate on the living the word of God, there is simply no other way. In verse 15 and 16, Paul tells Timothy to be diligent and to persevere in these matters. Living the Christian life from an early age takes endurance, the same endurance that our Silent Generation exhibit, staying the course. We are to stay the course because, as Paul says, so that everyone may see your progress. Your life will be a living testimony to the grace of God. And by doing so, not only will you be saved, you will also lead others to a saving knowledge of Jesus Christ. If you are under 50 (or feel like it), children, teens, students, young married couples, singles or parents of teenagers, you are the next generation of leaders. We as the church need you to step up. We need young leaders to humbly step into roles that have been carried by those who are growing older. But as you already know, the world is changing rapidly, and we live in a crucial time in history. As future leaders, you need to be strong in character and faith. As Paul encouraged Timothy, build your life on the Word of God, it is a sure foundation that even after thousands of years still is the only certain truth that one can hold on to. Here is the wonderful effect of the younger generation stepping up and setting an example with passion and energy, you will provoke the older generation to finish well, to spend their final years serving the Lord with all their hearts (see Hebrews 10:24). This is the body of Christ. Not a church exclusively for older people, it is not a church exclusively for young people, but a family working effectively together, focusing on the Great Commission that Jesus gave to the church before he ascended into Heaven. A fascinating subject is the study of generations, how we classify people according to their age. If you have a certain amount of gray hair then our assumption is that you process decisions a certain way, if you are under a certain age, you may fit into a certain category of people. Because of these assumptions, we divide ourselves and others into generations. Sociologists study these categories, and due to the incredible information age in which we live, the generations are changing quicker and becoming more segregated than ever before. Today in our churches we have the Silent Generation, the Baby Boomers, Generation X, the Millennial Generation and finally the Generation Z. 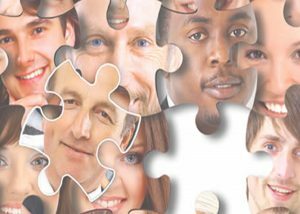 Each generation has characteristics that identify them and how they relate to leadership and culture in general. For the church to be divided by those characteristics as the world has been, is not reflecting the true Body of Christ . As a church, we are meant to grow together, serve together and love together. Fulfilling the Great Commission will take all generations. Most churches in America today tend to fall into two camps; the first is those who have decided to reach people over the age of fifty, and the truth is that these churches are declining in membership and many are closing their doors. The second camp has decided to primarily reach the younger generation, these churches are often growing in numbers but they are struggling to meet their budgets. Neither of these models of church is correct, we need to be churches that keep the Gospel message as our central theme. As we do that, we will experience a unity that is uncommon, a unity that will break down any man-made barriers. The 1st century church also faced challenges in the area of unity. When the Gentiles began to believe that Jesus is the Son of God, the Christian Jews were faced with a real challenge, whether to accept them or to let them form their own churches and continue to be separated. However, God called them together into an example of unity that we follow to this day, admittedly some days better than others. As Paul wrote in Romans 12:3, humility is the key, realizing that each of us are only saved by the grace of God. The Apostle Paul also wrote a letter to a man by the name of Titus in AD 66, who was overseeing the growth and planting of new churches in the island of Crete. The church in Crete was probably founded by people from Crete who heard Peter preach at Pentecost. These churches were multi-generational, however the churches in Crete were struggling because of false teaching that had crept in from people seeking to profit from the churches. Paul instructed Titus to teach the truth, to train up elders or pastors and to firmly establish the church on the truth of the Gospel. Paul gives Titus some very practical advice. He begins the second chapter with the statement, “teach what is appropriate to sound doctrine”. Paul encourages Titus to teach the truth, without truth, the church will not be healthy. Paul tells Titus to teach four categories of people, the older men, the older women, the young women and the young men. Starting with the older men, those over the age of 50, Paul says teach them to be “temperate, worthy of respect, self-controlled, and sound in faith, in love and in endurance.” The senior men in the congregation are to exhibit a depth of character and self-control that comes with seniority and maturity. Paul is saying that the young people are looking to you; they want to see that you control your temper, that you are not impulsive and easily swayed, which is the stability that has marked the Silent Generation. In addition to character, the senior men are to exhibit a sound faith. Demonstrating a faith that has been tested for some years, it is faith with some battle scars. Paul lists three cardinal Christian virtues – Faith, Love and endurance. Faith – believing God, trusting Him for the future because you have seen that He has been faithful in your past. Love – serving others, the silent generation is characterized by people who desire to serve others before they expect to be served. Endurance – seniors know that it takes discipline and endurance to live the Christian life. As Paul focuses on the older women he tells Titus to teach the older women to be reverent in the way they live. Paul is saying that the older women are to practice the presence of God in their lives, by allowing the presence of God to permeate every aspect of their lives (V3). Then Paul tells Timothy to teach the older women to avoid moral failure by sitting around drinking wine and gossiping amongst themselves. The real problem is not the slander or the drinking; the real problem is the misuse of time. Rather than waste time doing what is wrong, “Teach what is good” (v 3b). The older women are to set an example, not only teachimg by verbal instruction, but by being a living example. Paul tells Titus to instruct the older women to teach the younger women. Older women can relate and teach the younger women far better than Titus could. This is sound advice even for today because it builds up the family. Older ladies, we as a church need you; we need you to teach the younger ladies what God has shown you in your life. If you are one of our senior citizens, what are you doing to sow into the next generation? The best way is to come alongside a young believer and disciple them. The younger generation of believers is passionate and hungry for reality, and they also want to be challenged. But they want to see the truth of the Gospel lived out in those who go before them. Unfortunately, many of our churches are full of good traditions but weak on passion. Many people have the misconception that attending church is enough. People go to church, attend Sunday School and even serve in the church for decades, yet they are not growing in their relationship with the Lord (see Hebrews 5:12). My prayer is that our young people look to our seniors because they see in their lives a hunger and passion for the Lord. Are you growing in your walk with the Lord? Because those coming behind you are watching to see if it is real for you, if you practice what you have learned (see Psalm 145:4). We have an extraordinary opportunity to be a part of something that is uncommon in the world today, a world that draws deep dividing lines between the generations. We have the opportunity, because of the power of the Gospel to be united in vision and passion as the Body of Christ. We must not to be satisfied by being multi-generational, with multiple generations in one room; rather we are to become inter-generational, working together for the Gospel.